While most in the world of science believe in the big bang theory, there are those who do not. It is not something that everyone is on board with and those who are not have their own ideas about how the universe came to be. I recently came across a theory that seems to suggest our universe was born from an alternate bubble of some kind from some other time. This theory goes over how the universe sprang out of a dying older universe and goes through periods of consolidation and expansion. While this theory is not new, it is quite interesting and is always being researched in new ways. More often than not it is referred to as the big bounce theory but Neves takes it to a new level. An article I found by Big Think went over how Physicist Juliano Cesar Silva Neves a mathematician from Brazil published a paper not too long ago in the journal General Relativity and Gravitation. In this, he seems to go over how physicists seem uncertain about whether the phase of immense heat took place in regards to the big bang. Neves suggests that there was a universe before our own. You see, through investigating black holes and the bouncing universe itself a lot can be uncovered. Could Neves really be onto something? A prior contract phase would change everything and brings forth a lot of questions. 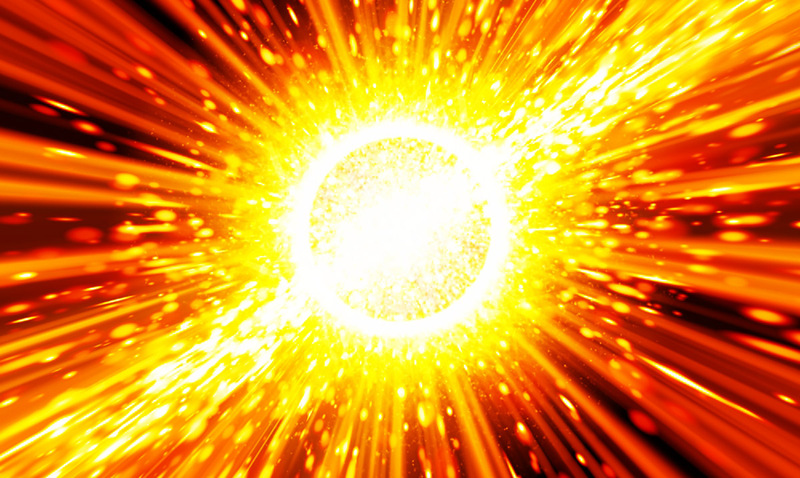 “In order to measure the rate at which the Universe is expanding with the standard cosmology, the model in which there’s a Big Bang, a mathematical function is used that depends only on cosmological time,” said Neves, who elaborated the idea with Alberto Vazques Saa, a Full Professor at IMECC-UNICAMP and also the supervisor for Neves’ postdoctoral project, funded by the Sao Paulo Research Foundation — FAPESP. With the scale factor, Big Bang itself, or cosmologic singularity, ceases to be a necessary condition for the cosmos to begin universal expansion. A concept from mathematics that expresses indefiniteness, singularity was used by cosmologists to characterize the “primordial cosmologic singularity” that happened 13.8 billion years ago, when all the matter and energy from the Universe were compressed into an initial state of infinite density and temperature, where the traditional laws of physics no longer apply. From the 1940s onward, scientists guided by Einstein’s theory of general relativity constructed a detailed model of the evolution of the Universe since the Big Bang. Such model could lead to three possible outcomes: the infinite expansion of the Universe at ever-higher velocities; the stagnation of the Universe expansion in a permanent basis; or an inverted process of retraction caused by the gravitational attraction exerted by the mass of the Universe, what is known as Big Crunch. What do you think about the bounding universe? I think the whole concept is quite fascinating. Could the big bounce end up being more accurate than the big bang?